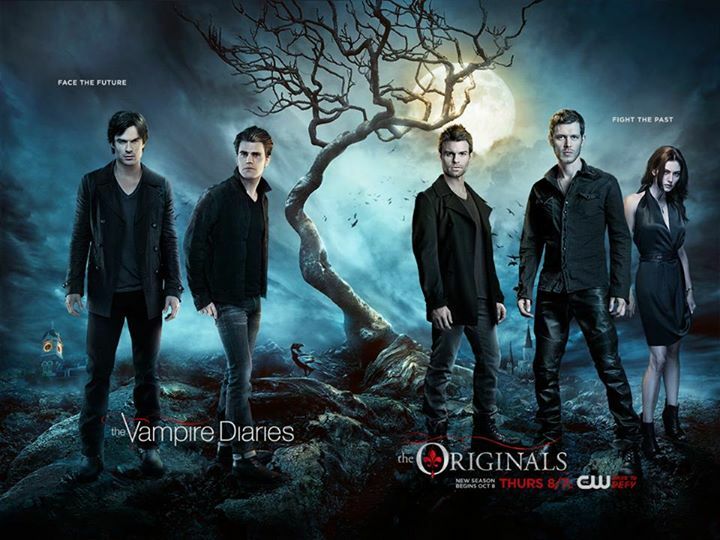 The Vampire Diaries Season 7 and The Originals Season 3 official poster. . HD Wallpaper and background images in the The Vampire Diaries TV montrer club tagged: photo the vampire diaries season 7 the originals season 3 official poster. This The Vampire Diaries TV montrer photo contains costume d'affaires and costume d’affaires. There might also be bien habillé personne, costume, costume pantalon, tailleur-pantalon, pantalon costume, pantsuit, personne bien habillé, pantalon de costume, costume, costume de vêtements, and concert.